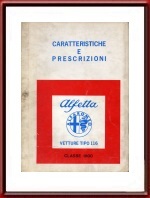 1975 Alfa Romeo Alfetta & Alfetta GT Technical Manual. 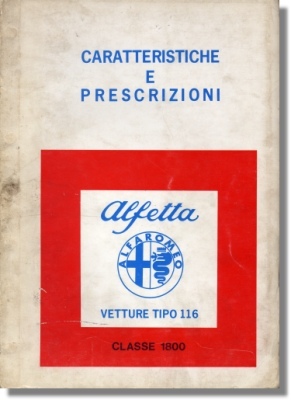 Vintage November 1975 technical specifications manual for the Alfetta 1.8 and Alfetta GT 1.8. This manual specifies all technical measurements etc for these cars from door gaps to bearing clearances. It contains a total of 65 "groups". It measures some 12 x 8 inches (or 30 x 21 cm). Print reference: 2420, printed in November 1975. Decent condition for a workshop item.